In June this year, UK mobile network Tesco Mobile announced an exclusive UK partnership with Unlockd in a bid to change the way users consume and pay for their mobile phones. 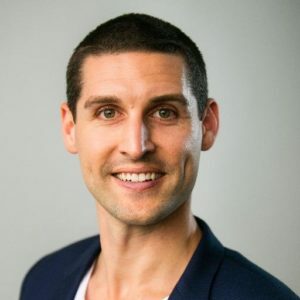 Matt Berriman (pictured below), CEO and co-founder, Unlockd speaks exclusively with ExchangeWire about the success of the model so far and how ad-funded models, such as Unlockd, will play a large part in the future of mobile monetisation. The Unlockd ad model is a simple concept: customer receive ads, content and special offers when they unlock their phone, in exchange for discounted phone bills, bonus free data or other rewards. Distinguishing it from other mobile ad models, partnering with telecoms companies should mean it provides value to them, consumers, publishers and advertisers. 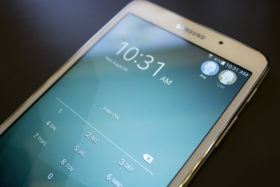 Unlockd is only available on Android at the moment, but given that, according to some studies, Android owners tend to have lower income than iPhone owners, that isn’t necessarily a huge limitation. 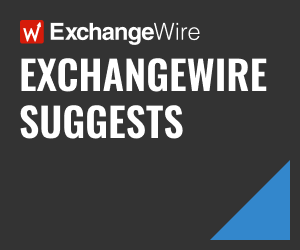 ExchangeWire: How is Unlockd’s business model different from that of other mobile ad networks? Matt Berriman: Unlockd offer a unique and proven solution. By embracing a value exchange model, Unlockd helps Telco companies find new revenue streams, helps advertisers have first access to consumers on mobile devices, before Facebook and Google, and helps customers reduce their phone bills. Unlockd creates its own supply of inventory, and does not aggregate inventory from various publishers which ad networks do (arbitrage). Unlockd have just launched in the UK and already have a presence in the US and Australia. Are there other market expansion plans? Are any emerging markets interesting prospects for you? We have three other markets, of which two are developing, that we will be able to announce in the next 3-4 months. We are seeing global interest in our model and developing markets are becoming a strong opportunity for the business, thanks to the percentage of phone bill we can pay off and/or value our model can add to both a customer experience and a telco’s revenue streams and customer retention strategies. Ad blocking is a growing issue globally and has given rise to a new trend of network-level ad blocking. Is Unlockd’s model affected by this? No, because we aren’t either in-app or web inventory Unlockd is not affected. Our model is centred around consumer choice and value exchange, hence why we are finding that consumers are more willing to view content and ads. The ads look like they could be quite data heavy – is that the case? Can the ads be pre-cached to avoid slow load times? The ads aren’t data heavy, they equate to approximately 120MB per month in data usage. In our recent UK launch, Tesco Mobile provided users with 200MB of additional data, to ensure users had more than enough scope for the app. Yes we are able to cache ads and speed to serving is a key focus for our product team, and will continue to be. The value exchange is clear, but are consumers as receptive to this model further down the line, compared with the initial sign up period? Yes, we are seeing a definite pattern here with a significant percentage of consumers still engaged some six months following the US launch and enjoying the value each month. There is an option for interstitials to display publisher content. How is this funded? With the content providers looking for ways to distribute content outside of the Facebook environment, we are starting to see content funding such as ad buys. How do you see this type of mobile advertising and monetisation fitting in with the future of mobile? Ad-funded models will be a large product stream for users in the future, providing them more value and choice – this is not just limited to Telco bills, but may be on other complementary services in future, as the model makes good sense to consumers across multiple verticals.